I wasn’t allowed to watch a lot of TV growing up… it was restricted to Friday afternoon and weekends. Every Saturday morning I’d wake up super early and watch cartoons for as long as I could. 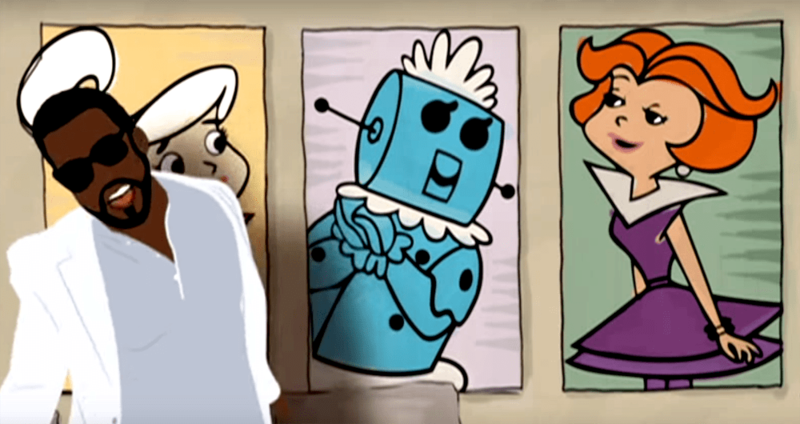 I loved reruns of The Jetsons and I particularly loved Rosie the Robot. 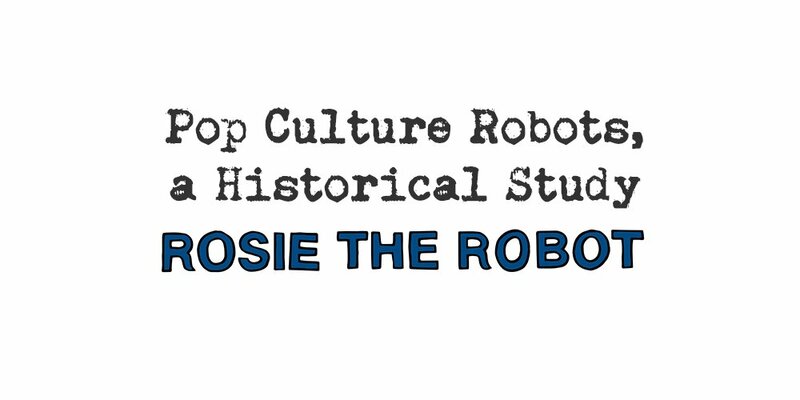 Rosie also appeared in a 2006 AT&T advertisement along with Robby the Robot form Lost in Space, cementing their place in the pop culture psyche of the western world. 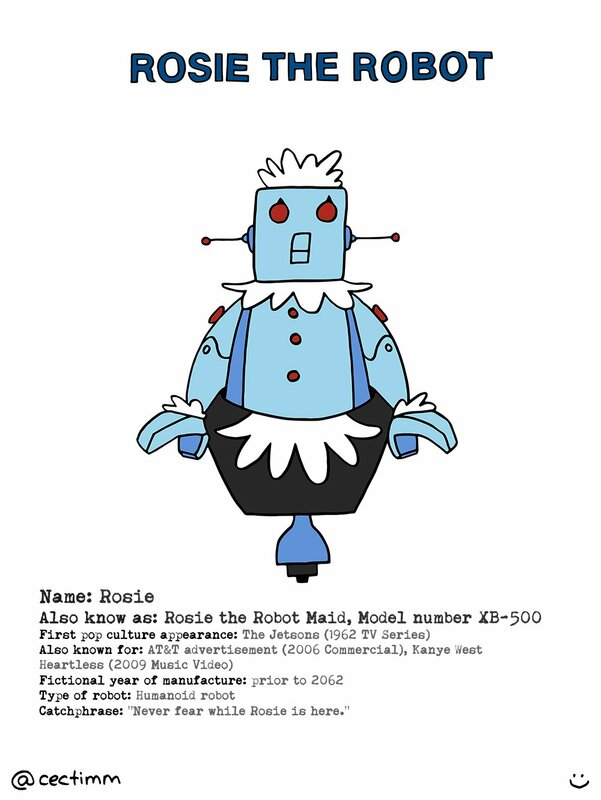 Rosie also appeared in Kanye Wests Heartless video (2009). This is a rather lovely video clip and the animation is so illustrative it’s wonderful.